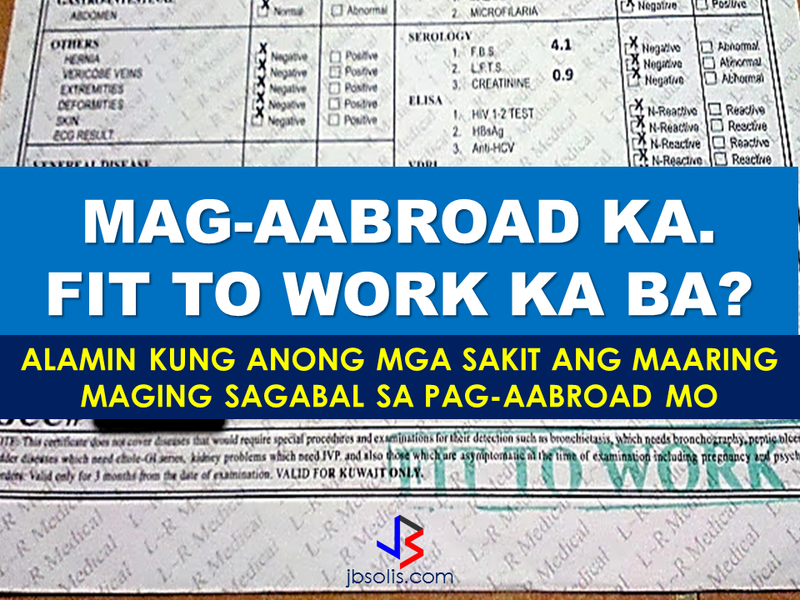 THOUGHTSKOTO Thoughtskoto : LIST: ARE YOU FIT OR UNFIT TO WORK ABROAD? 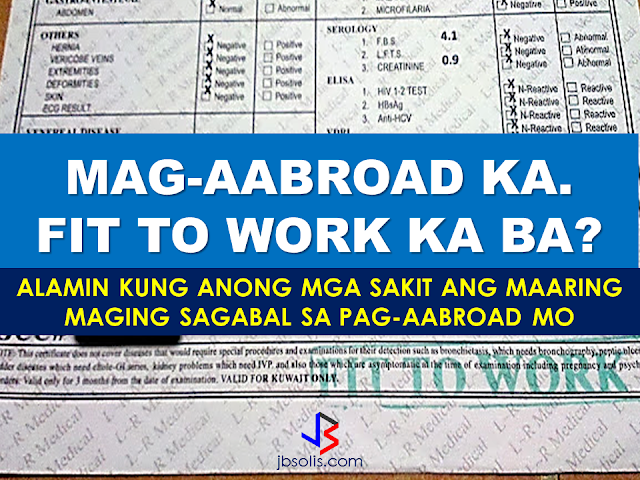 Being in a country with inadequate job opportunities, Filipinos resort in working abroad to sustain the needs of their families. Even single individuals try their luck in applying for overseas job. 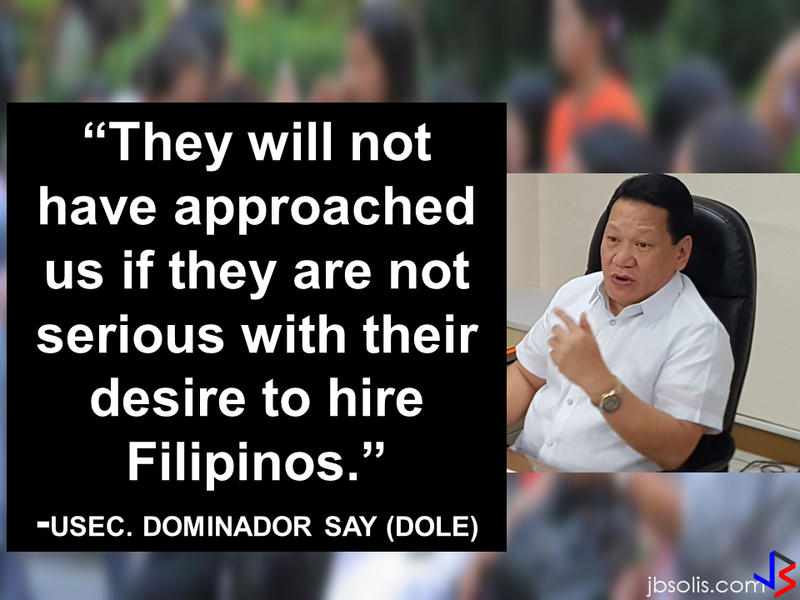 The number of Overseas Filipino Workers is still growing despite the growing crisis in the Middle East, many Filipinos still want to go abroad for work. However, working overseas require lots of pre-requisites-- finding a good recruitment agency , finding a good company that gives good salary and producing money for paying the medical exam, the placement fee and the expenses for the requirements even the food and the fare you needed to go back and forth to the government offices and agencies for your requirements. After finding the job and passing the final interview, you will still not be able to go abroad without being certified fit to work. The medical exam plays a vital role in determining whether your dream of working abroad will push through or fail. 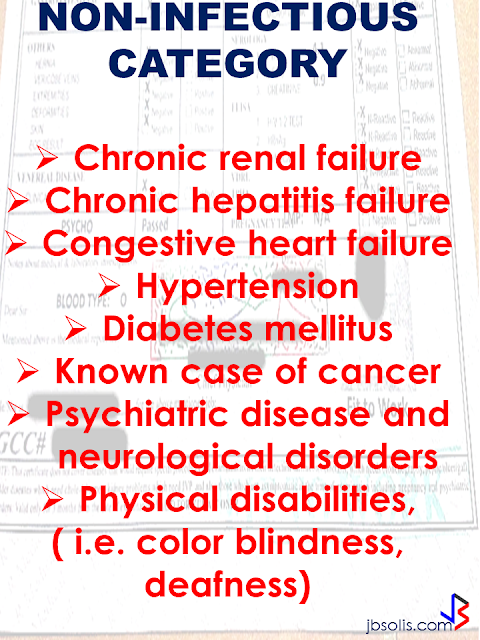 What are the diseases that can get you arisk of being stamped as "unfit to work"? The Gulf Cooperation Council-(GCC) Accredited Medical Clinics Association (Gamca) has publicized the list of diseases that can prevent you from working abroad. 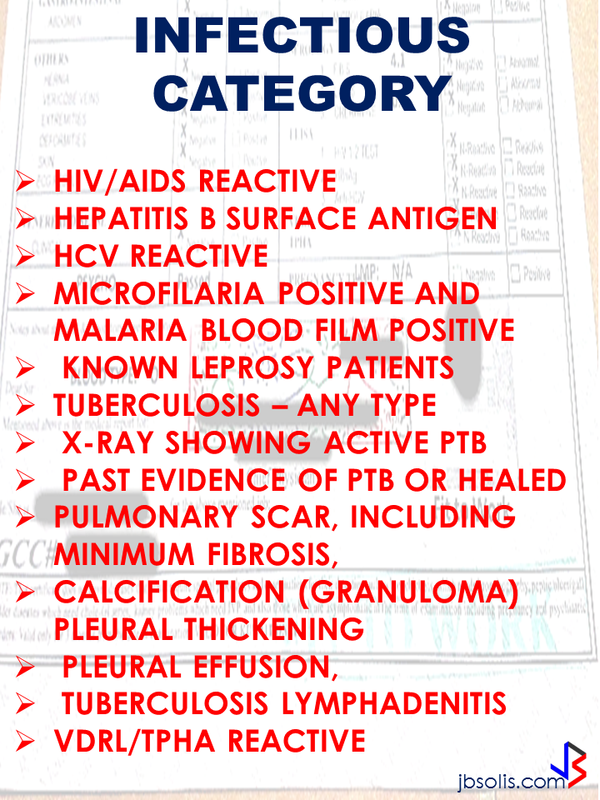 It is separated to two categories: infectious and non-infectious.